New craft books inspired a new series! 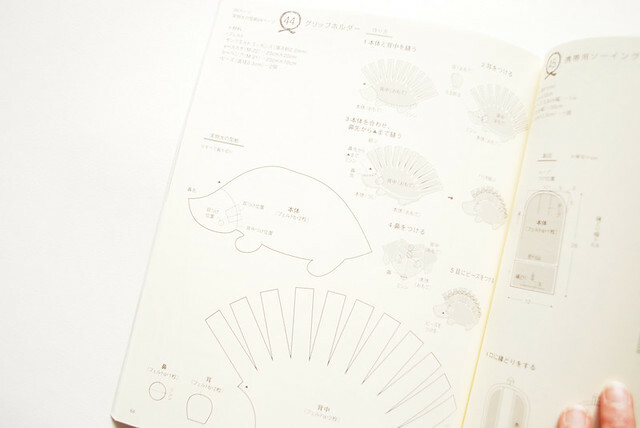 I don't read or speak Japanese, but even still, there's a lot to be crafted from Japanese craft books! I have a small-ish collection, so for a short while, Wednesdays are going to be Japanese Book Review days! 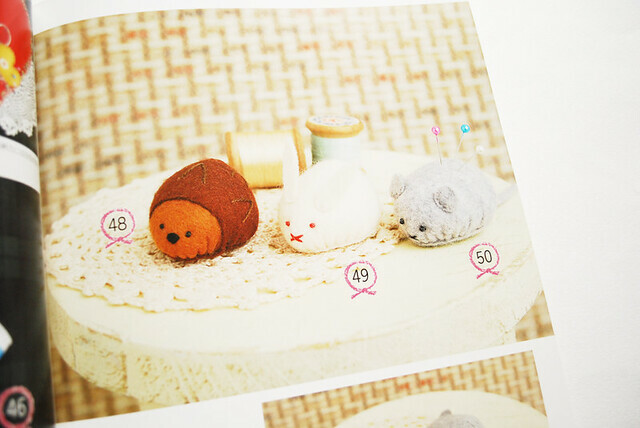 Of course, all of them are craft related, because there is so much cuteness to be crafted from these books! The first book is one of my newest. 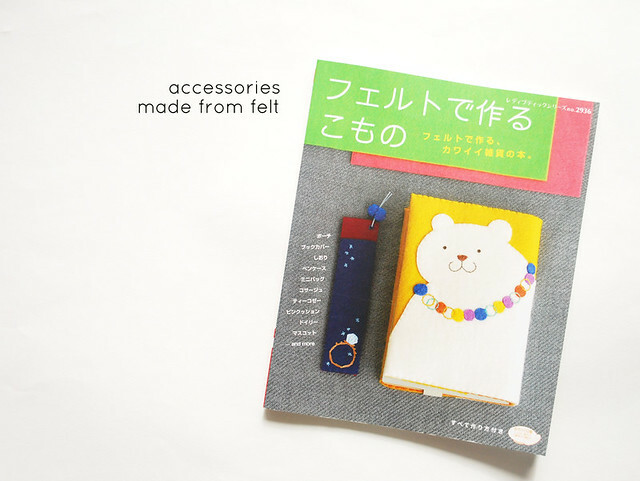 The translated title is Accessories Made from Felt, and the ISBN is 9784834729368. You can find its reference on Google Books, and Yes Asia sells it. 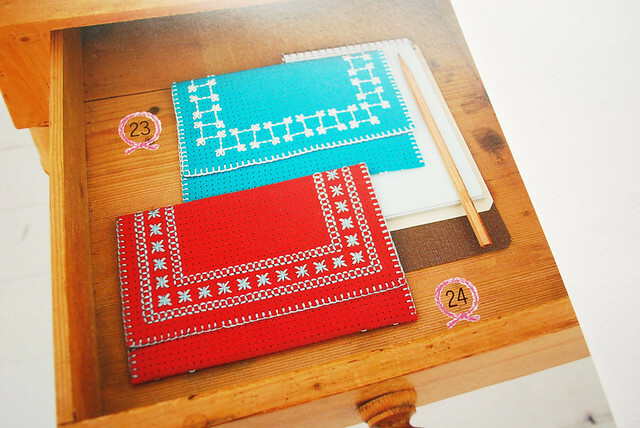 This book has a really nice collection of items in different styles. Some are extra cute, like the bear on the cover (I kinda want to hug her!) 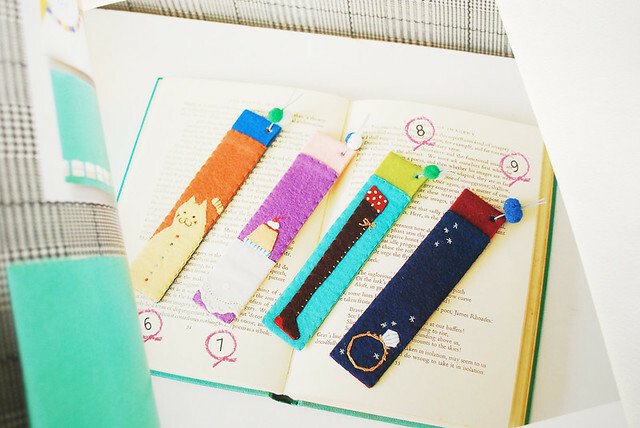 and these book marks, and some are very simple and practical, like the little placemat below. Notice the felt used on both of the items above? It appears to be pre-punched with holes in it, and there are other items in the book that use similar felt. I've never encountered felt like that before, but now I want some. If you have found this type of material, would you please let me know? Whether I find the felt or not, just seeing it used as it is in Accessories Made from Felt has inspired me. In fact, it was a search for felt like this that led to the discovery that I could use a Fiskars hole punch to create a similar effect...at least the edge of a piece of felt! Here's a look at some of the instructions for a project. All in Japanese, but the illustrations really do a good job of communicating. I can figure these bags out with little trouble! A birthday gift with a face? That pink bunny? So cute! These little tag/coin pouches have already led to an idea that I'll be making here on Wild Olive soon! And then there are these animals. The templates shown are for a brilliant little hedgehog with a knotted back. He's set to be the first thing I make from the book. 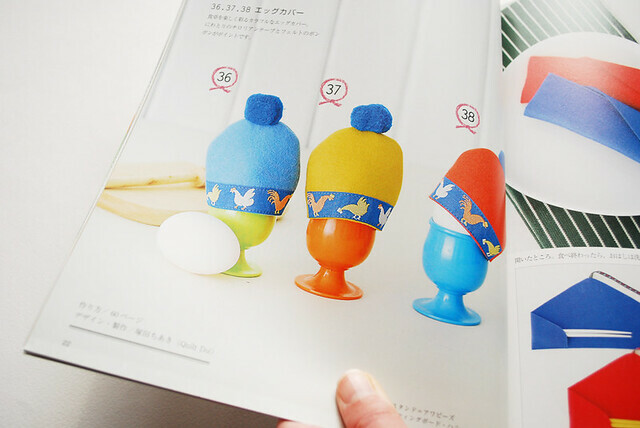 Somehow, these egg cozies have become my favorites though. I'm not sure if it's the bright colors, the sweet trim, or those pompoms that have done it, but I love 'em! Maybe I lied...these might need to be first so that our Easter Eggs can wear little stocking caps! Accessories Made from Felt has 71 projects (sort of...the three egg cozies count as three projects in their count), and all of the templates are in the back pages. Not all are full size, so a bit of deciphering is required in order to get them approximately as they should be. Still, this is a great little book, and one that I will be using a LOT! Where do you find all this cuteness? I have nothing at all like this stuff ANYWHERE near me. And I go further afoot than most people. Yes, we live in England for awhile. Are these in stores like Michaels or Jo-Anns because to be honest I don't check out the book section there very often. I did for awhile but nothing interested me and mostly the books for crafts I'm doing are usually near the supplies. I also check book stores such as Barns and Noble when I can. I have to admit that my heart also did a melt for the hedgehog pincushion. This book came from a Japanese bookstore not too far from me (see http://mitsuwa.com/english/index.html ), but I also have purchased some online. There are a lot to be found on Etsy. 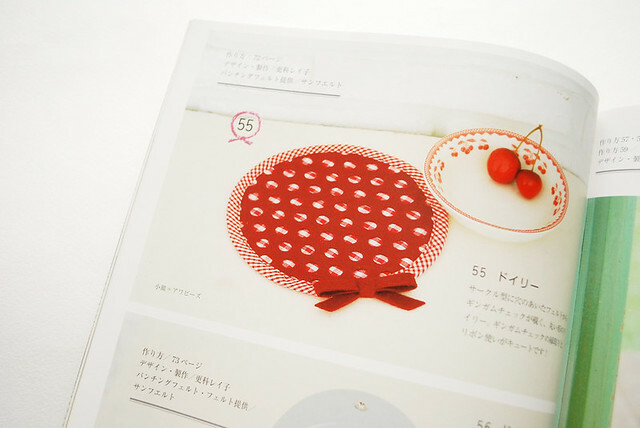 I love Japanese craft books. I wish english language ones had half as clear pictoral instructions. I just used one of my latest books to make easter bunnies for my big easter basket project. Thanks for sharing the ISBN for this book. I think I'll add it to my "to buy" list. how adorable! can't wait to see all the gorgeous things you're going to make from this book...may have to buy it for me and my daughter to have some play time together! Birthday present with a face on it...that is crying out for a Mollie interpretation. :) Thanks for sharing! That's is so cute! Felt one those items that has so many possibilities! 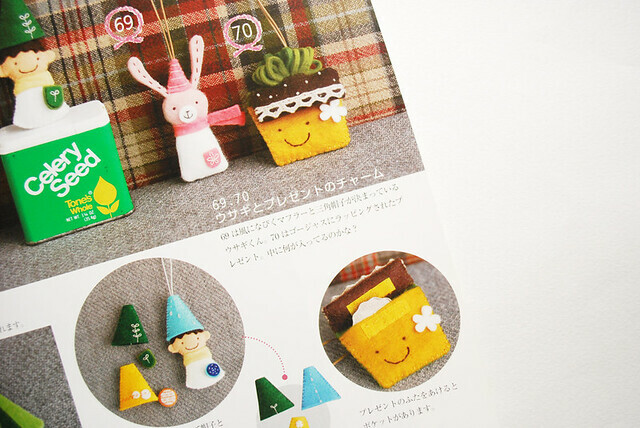 I too would love to know where you get the Japanese craft books, because they are just too cute! 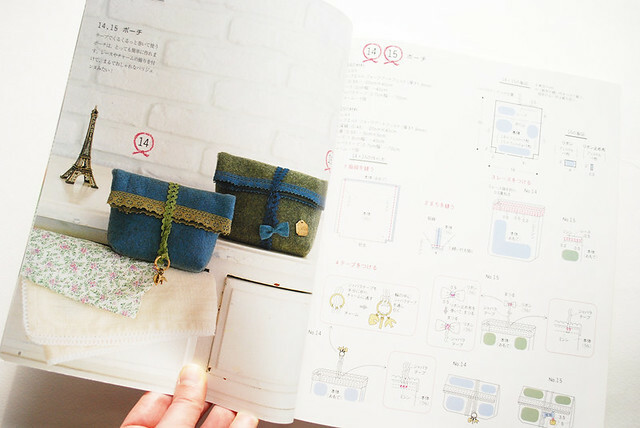 That adorable little bag grabs my attention, and I think I could mostly make it, but the closure section is a bit confusing. Such darling little animals, though! Thank you so much for sharing! If you ever need a translation of something that doesn't have a clear picture, I volunteer my husband's translation skills! I will definitely bear that in mind...thank you! You're a dear! Thank you so much!